Single largest MTT in history kicks off on 25 November 2018 on partypoker. You can win your seat by playing Sit & Go jackpots. But that’s not all! The ticket won by SNG Jackpots brings you 2.5M prize booster if you win the MILLIONS ONLINE using the very same ticket. partypoker players can land a bumper $5,000,000 payday this winter. You can win this only with the MILLIONS Online Sit & Go Jackpot $2.5m Booster promotion. Any player that secures their MILLIONS Online seat through special edition Sit & Go Jackpots running from today until 4 November 2018, and then conquers the event using that same ticket stands to have their $2.5m first place prize doubled – to a huge $5m. If the $2.5m bonus is not won, partypoker has promised to double the prize of the highest finishing eligible player. And it will be all the way up to a maximum of $20,000. Boasting a record $20m guaranteed between 25 November and 5 December 2018, MILLIONS Online is the single largest tournament in online poker history. With partypoker’s latest promotion, one player can walk away a huge $5,000,000 richer. 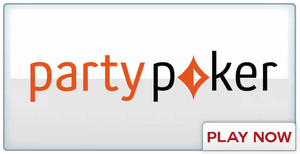 If you still don’t have partypoker account. Join today, make a deposit and you will get $22 more for satellites.